Cyrus Kabiru is a self-taught Kenyan artist who gives “trash a second chance,” collecting bottle caps along the roadside as he walks. 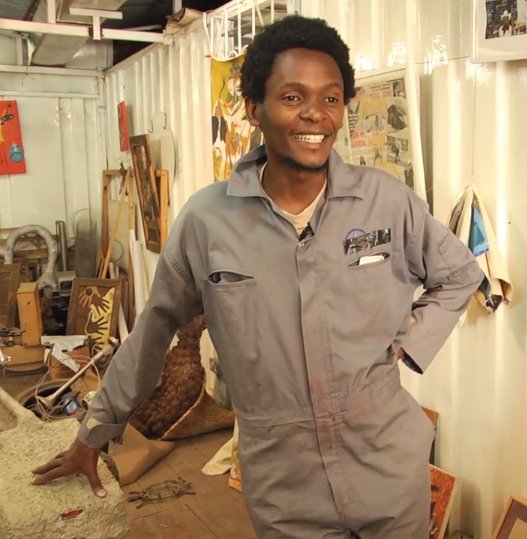 He teaches his version of art and ecology in Kenyan villages where youth have limited exposure to art. YWI met Cyrus last February and will record his next chapter on following your dreams this fall. Cyrus became known for his “C-Stunners,” — Cyrus’ stunning face wear — made from discarded materials. He is a TED Global Fellow and has mounted shows in Stockholm and Los Angeles.